According to an Associated Press report (via Pitchfork), 13 people were taken to a hospital today after a truck crashed into The Dillinger Escape Plan’s tour bus in Poland. The band was on the way to a show in Krakow—which has now been canceled—and though they were taken in “for tests,” none of the band members were seriously injured. The bus had reportedly been parked “partly on the road and partly on its hard shoulder,” and the “most injured person” was the driver of the truck. The Associated Press story also notes that a pregnant woman traveling with the band was not hurt. 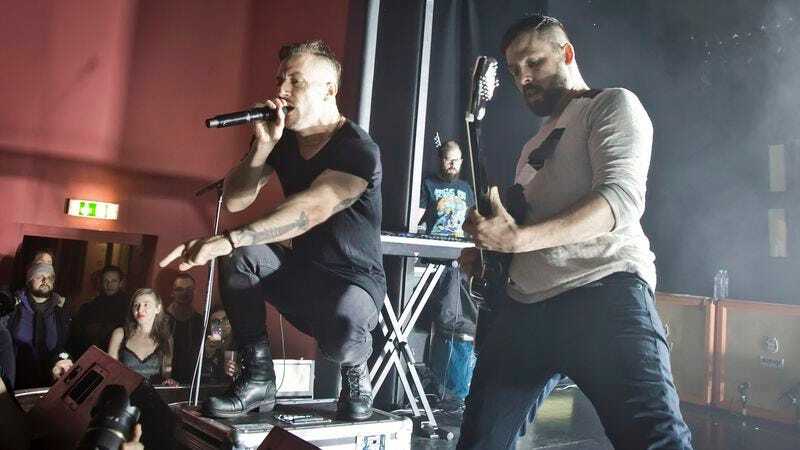 Back in August, The Dillinger Escape Plan announced that it would be breaking up after its current tour, which is in support of the album Disassociation.